A bit early, to avoid it getting lost in the rush to the Easter weekend. 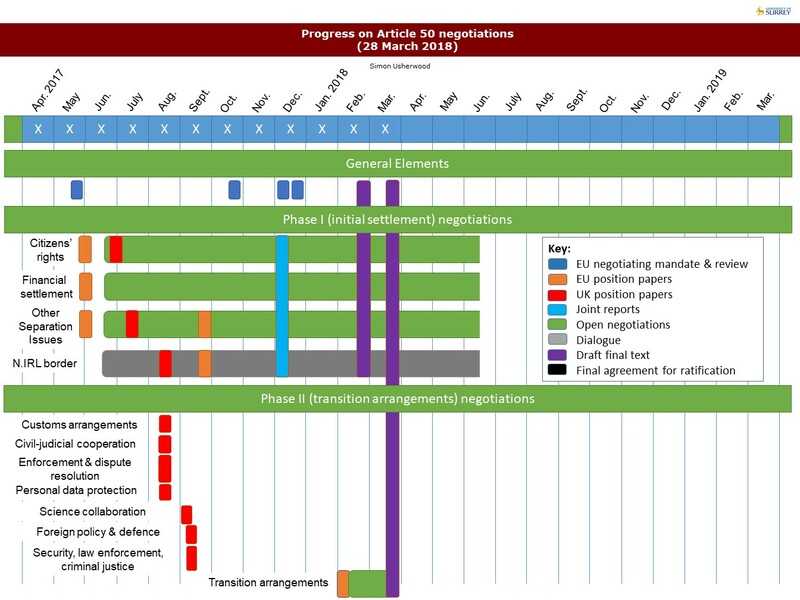 The past month has seen movement on the draft Withdrawal Agreement, and the second version literally highlights the progress made. 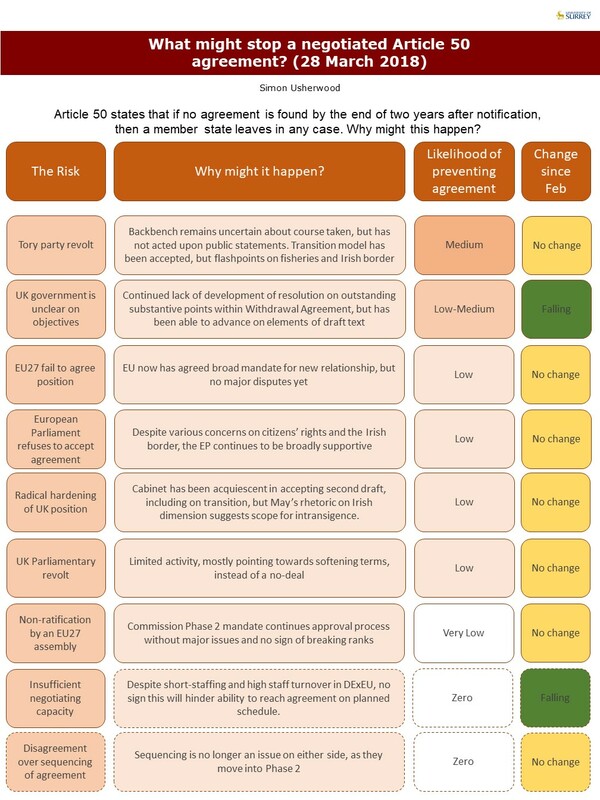 The infographics reflect that with some further reductions in barriers to reaching an agreed outcome in October. However, substantial barriers remain, so the rhetoric is yet to be fully reflected in the legal texts. 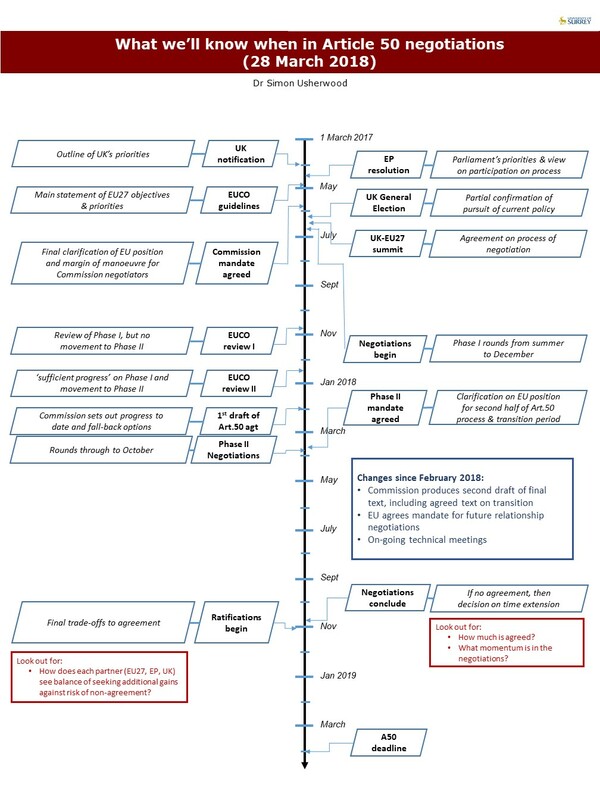 The next couple of months will be important for evaluating the possibility of progress on the Irish dimension, but it may not be until June that this crystallises into something more meaningful/legal.